Did you know that Gatorade is just as bad as Coca-Cola for your teeth? Although Gatorade can help in rehydration it is highly acidic, and acidic drinks eat away at teeth over time. The acid wears away the enamel, the outer protective layer of the tooth, which allows nasty bacteria a place to grow and flourish! Bacteria requires sugar and Gatorade provides more than enough sugar for this bacteria to feed and grow. No one wants to intentionally invite bacteria to have a party on their beautiful smile. 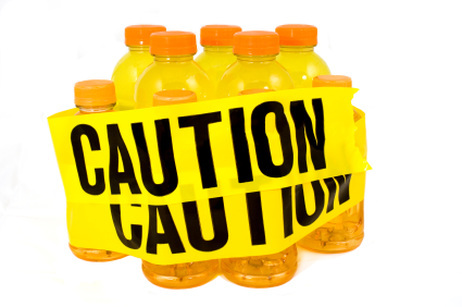 How can you enjoy Gatorade and minimize the risk to your teeth? 1 – Don’t sip! It is important not to sip on Gatorade throughout the day. Drink it and be done, or save for another time (those bottles are really big!). Sipping supplies a constant source of acid and sugar to the teeth. 2 – Moderation is key! It is ok to have a sports drink, such as Gatorade, as long as it is on occasion and in moderation. 3 – Clean that smile! When you are done drinking Gatorade, follow it up by drinking water. Water will help wash the acid and sugar off the teeth temporarily until it is time to brush again. 4 – Healthy habits! Habitual tooth brushing and flossing is always the best cavity fighting defense.